Welcome to a peek behind the scenes at Patchwork Castle. Today, I’m going to share with you my plans for the ‘make your own’ side of the business. If you have any comments, suggestions or requests then please do get in touch (you can send me a message or add a comment below). I’d love to hear your thoughts. In my 2016 update I talked about the story so far with Patchwork Castle and what’s happening with the ‘Make Your Own Memory Quilt’ section of the website. I also outlined some of the plans I have for this area of the business during 2016. It’s fun getting everything all set up for you, and it’s definitely time to start working on growing it into the great resource I know it can be for anyone wanting to make clothing (and other) keepsakes. As I was creating our first tutorial back in early 2015, I knew it would be a brilliant tool for people wanting a helping hand with creating such a special keepsake. I wasn’t wrong, and I’ve been blown away by the gorgeous quilts everyone has been making! Our Facebook community (a private group you can join as a bonus when you buy the tutorial) adds an extra dimension that you don’t often get with quilting patterns. Being able to reach out can be indispensable if you’d like a little extra support, advice on how to use a cute item, have questions on particular approaches or want a second opinion on something. It’s also a good place to share what you’ve been making. I’m working hard to make the Facebook community a really fantastic area for getting support, tips and connecting with other makers. Members can post any time they like, I float around all the time and every so often I pop up a post on a particular theme to get a conversation going. If you have the tutorial but haven’t joined the Facebook community please head over here and request to join (if your Facebook name is different from the one you used to order then drop me an email). It’d be great to catch up with you! When the ‘Make Your Own’ side started, it was pretty much just the Baby Clothes Memory Quilt Tutorial, and a few blog posts about particular techniques. I’d love to build a great selection of resources to support anyone creating clothing (and other) keepsakes. It can feel daunting to get started, and sometimes it just takes a bit of extra support and advice to make it possible. I’ll be adding updates, tips and tricks, product reviews, inspirational pictures, case studies and loads more. Watch out for more blog posts from now on. 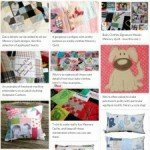 Everything will be based on our experience making hundreds of keepsake quilts and cushions, and techniques we use every day at Patchwork Castle. I hope it’ll also be a fun and inspiring place to be. You can check back here from time to time, or sign up to get them straight to your inbox. There’s a bunch of new tutorials in the pot for this year. If there’s anything particular that you’d like then please do let me know! 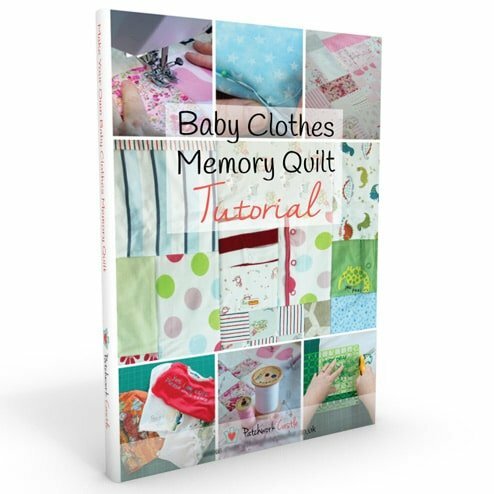 Amongst my next projects will be an Adult Clothing Memory Quilt Tutorial. 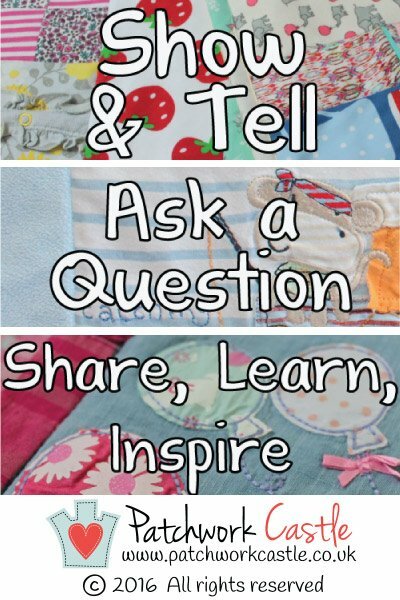 As with the Baby Clothes Memory Quilt Tutorial, I’ll take you step by step through creating your own beautiful keepsake. So, That’s What I’m Working On. How About You? If you have a moment, I’d love to hear about your keepsake creations (of any type!). What are you hoping to create this year? I love reading your comments! Loved this post? Then use the icons to share it on your favourite social media, and send it to specific friends via email. Memory Quilt Along – Join Me!